Immerse yourself in epic Star Wars™ battles with this Limited Edition Star Wars™ Battlefront™ II PS4™Pro bundle. Become the hero and play as a fearless trooper, pilot a legendary starfighter, fight as your favourite iconic Star Wars character, or forge a new path as an elite special forces soldier through an emotionally gripping new Star Wars™ story. 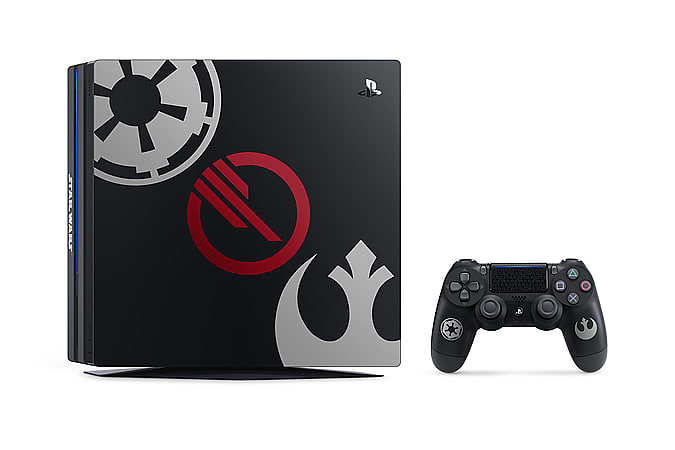 • Limited Edition, mirror-finished PS4™Pro console featuring the iconic emblems of the Galactic Empire and the Resistance, plus the insignia of the brand new Inferno Squad. 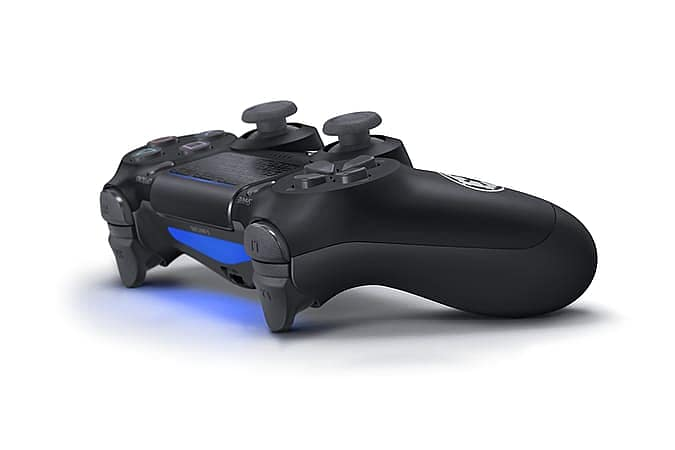 •Customised Jet Black DUALSHOCK®4 wireless controller featuring the Star Wars™ logo on its touch pad, plus Imperial and Resistance emblems on its grips. •Star Wars™ Battlefront™ II Elite Trooper Deluxe Edition Blu-ray Disc™, including: upgrade packs for all four trooper classes – Heavy, Assault, Officer and Specialist. 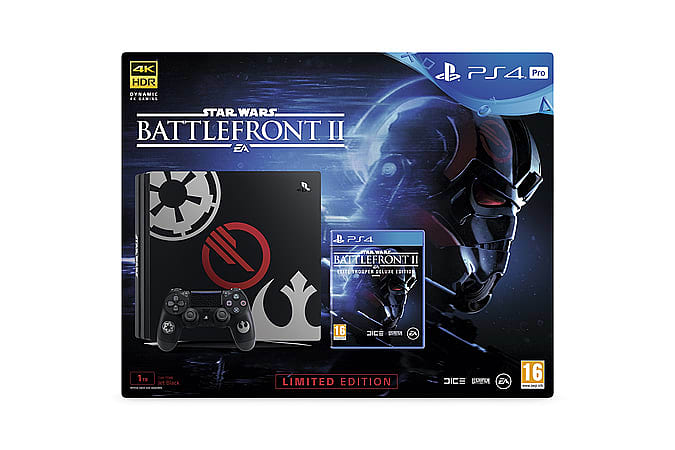 *Only at GAME -the Star Wars Battlefront II & 1TB PS4 Pro Console Bundle is only available at GAME stores or at www.game.co.uk/ in the UK. The Force is strong with PlayStation®. 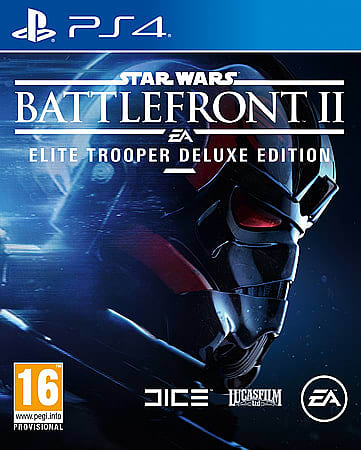 Includes Star Wars™ Battlefront™ II Elite Trooper Deluxe Edition featuring digital bonus content and three day’s early access to the game. 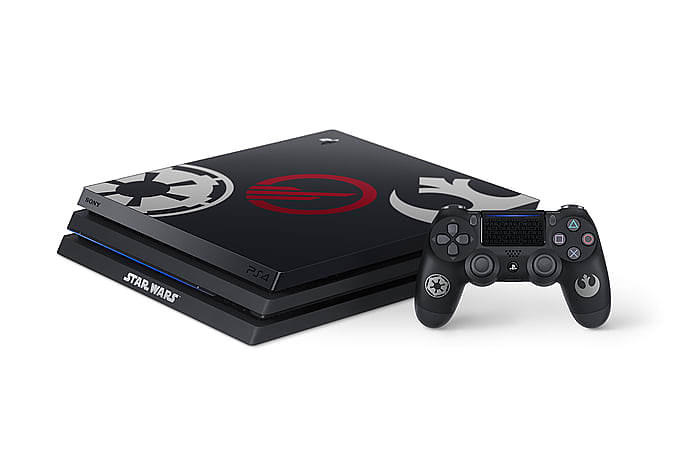 •Limited Edition, mirror-finished PS4™Pro console featuring the iconic emblems of the Galactic Empire and the Resistance, plus the insignia of the brand new Inferno Squad. 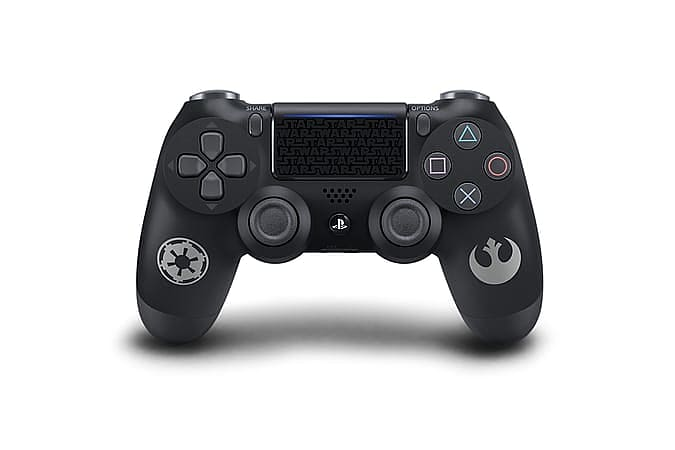 Main supplied items: Limited Edition PS4™Pro console, Star Wars™ Battlefront™ II Elite Trooper Deluxe Edition on Blu-ray Disc™, 1x customised Jet Black DUALSHOCK®4 wireless controller, HDMI cable, USB cable, Mono headset, AC power cord. Games and entertainment streaming services can output up to 2160p; PS4™Pro upscales lower resolutions to 2160p. HDR not supported by all games and entertainment streaming services. PS4™Pro outputs 1080p to HDTVs; 4K/HDR TV required for 4K and HDR.